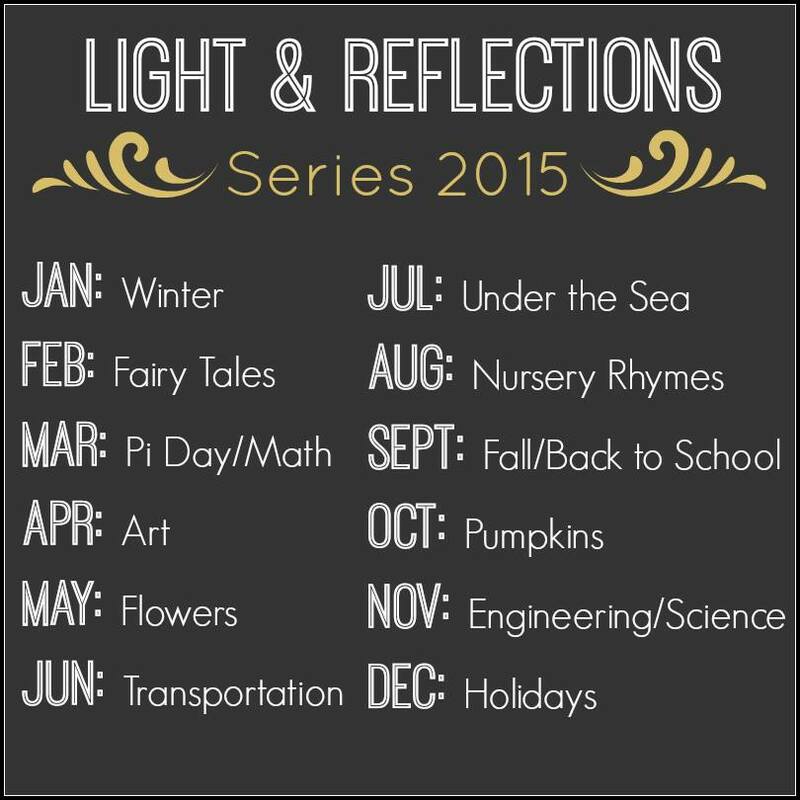 This month's theme for Light & Reflections is Pi Day/Math. Oh yes, numbers are something Mr Frog likes a lot! 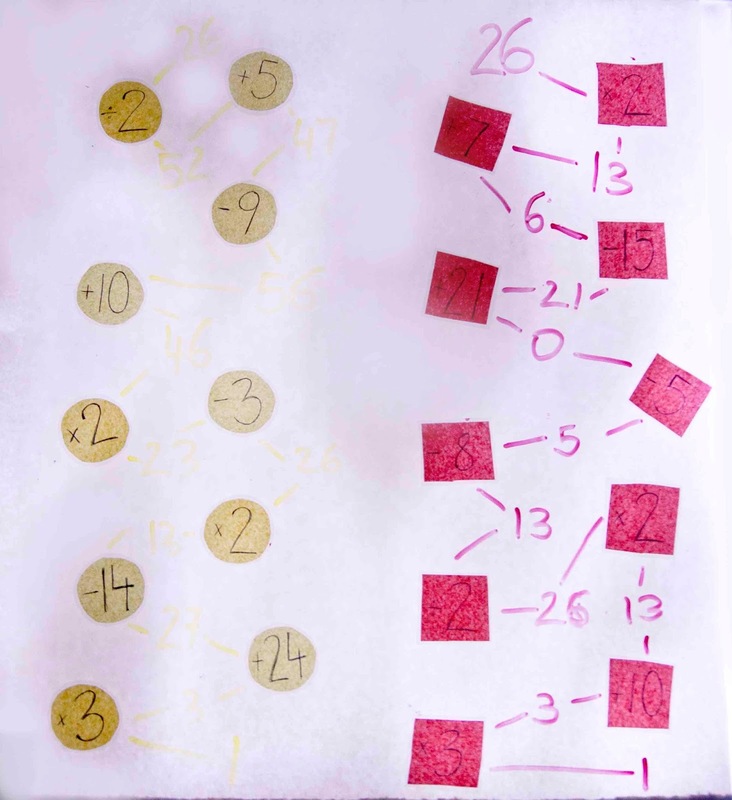 To challenge him a bit I arranged the Number Trails game on the light table. - two different colors dry-wipe pens. 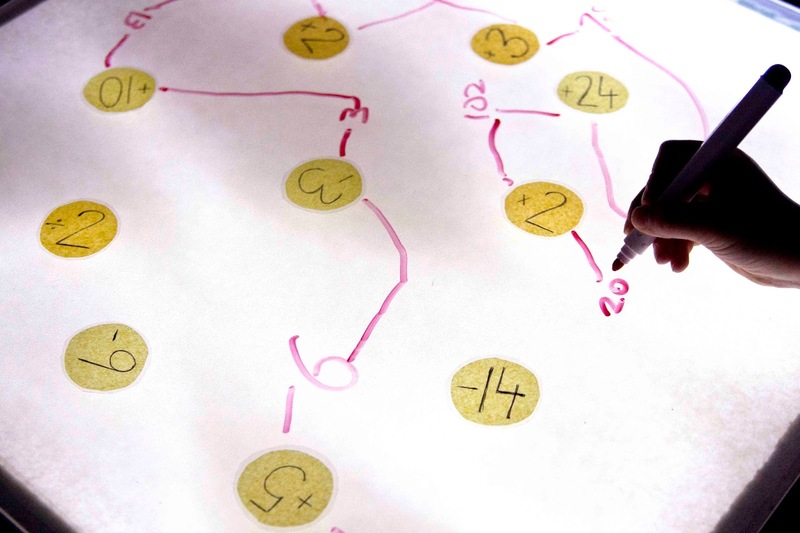 The idea is well known and simple - start with writing number 1, then make a trail and complete the operations. Mr Frog could practice solving the problems using mental methods. 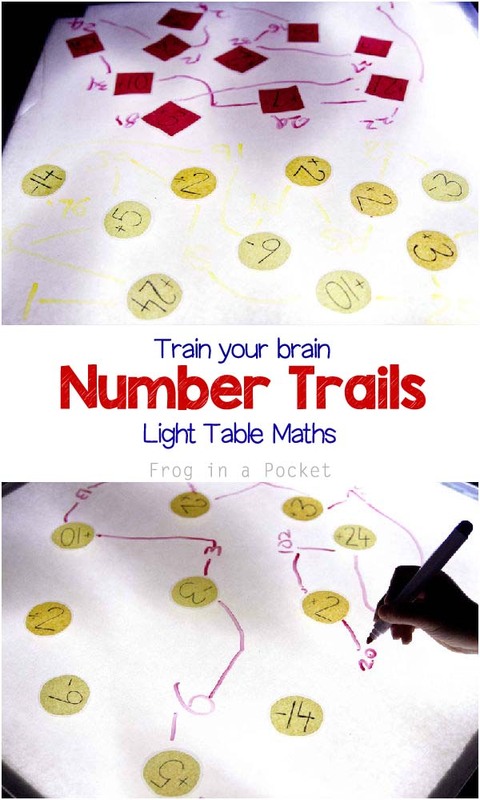 - just mix and scatter the tiles (one or two sets) on the light table and write number 1 to start the trail. You can make a battle (the best between children on the similar level but I did it with Mr Frog and it was real fun!). - mix two sets together and put them on the table. Each person starts with number 1 and can use any tiles to complete the trail. Each tile can be used just ones and the person who completes more wins. 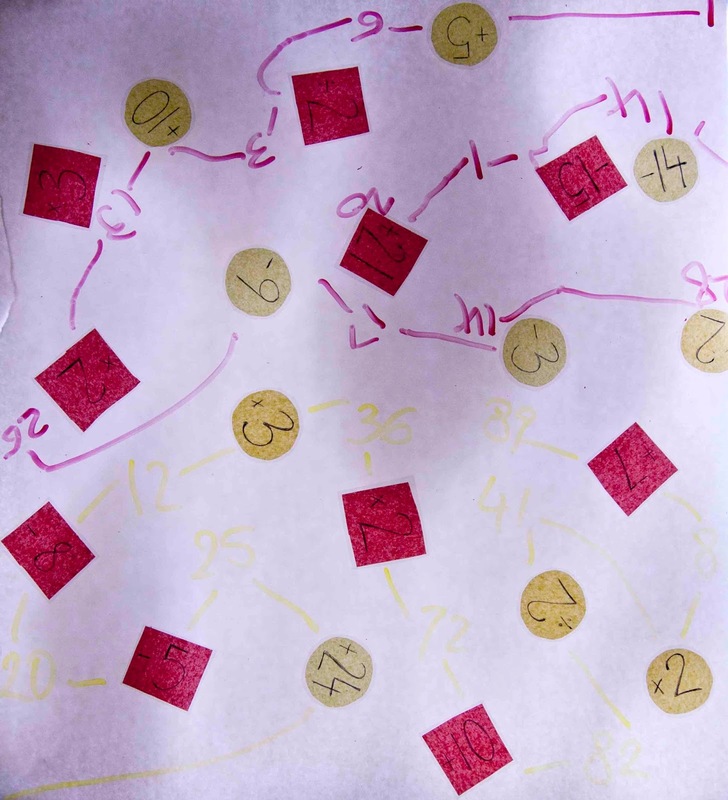 Learning Maths can be fun! And if you don't have a light table make the tiles and do this activity on the white board or big piece of paper. Number trails are brand new to me! How fun! Oh my gosh! I loved number trails as a kid! I haven't thought about these in years! What a great idea!